Do you have limited mobility or know someone who does? 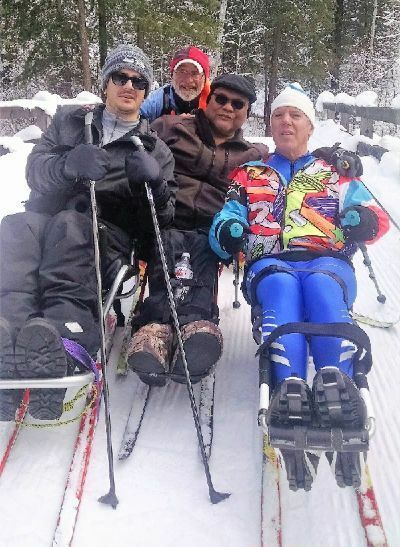 Adaptive Nordic skiing is a magical way to enjoy the winter months with friends and family on the groomed ski trails, and whether you have a long-term physical limitation, or you are recovering from a knee or hip replacement, adaptive Nordic skiing is here for you. Thanks to a grant from the Methow Fund, Methow Trails now has two adult “sit skis” available for use in Winthrop and Mazama. Go with a friend who can help you along the trails. With advanced notice, we can provide volunteer support as well. Equipment – Sit skis are low-to-the-ground frames that have bindings and skis at the base. Adaptive skiers can pole themselves, or be pushed or pulled by a trained aid. Sit skis are available for loan on a daily basis at the Methow Valley Ski School in Mazama or at Winthrop Mountain Sports. Plan to ski with someone who can assist you as needed. Volunteers & Trail Guides – Although sit skis are low to the ground and relatively stable, skiing with a friend or volunteer who can assist you is highly recommended. Methow Trails has a small but growing group of sit ski volunteers that would love to help you experience the trails on a sit ski. Methow Trails is proud to host a Ski for Light regional event each winter. 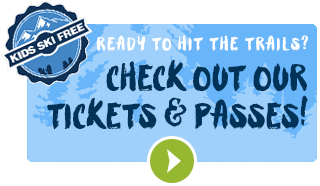 This event brings vision- or mobility-impaired skiers and volunteer guides to the trails for a week of skiing and camaraderie. During this event we groom side-by-side classic tracks on select trails to allow guides and participants to ski together. For more information or to volunteer, check out events page for specifics or call or email Adrienne, Partnership Manager, 509-996-3287 adrienne@methowtrails.org.